In this technological era owning a computer is close to a basic necessity, whether as a company or as an individual. Computers form an important part of our livelihoods. However, computers come with their technological disadvantages, like breaking down every now and then. Computer repairs need to be done wisely and professionally therefore it is important to know what type of computer you have, the make, the problem and the best repairing company to guarantee you perfect work. Those living near and around temecula and seeking imac repair Murrieta, you have our repairing firm Computer Repair of Temecula at your disposal. We are Computer Repair of Temecula, the best imac repair Murrieta. We do iMac repair among other computer repairs. We handle both software and hardware repairs. This company is made up of highly qualified professionals who have years of experience in the business. Our offices are located in Murrieta town, you can also find us at website is ComputerRepairofTemecula.com. Getting a repair company that is honest and gives quality services is quite hard to come by, especially in Murrieta. You might be lucky to find a company that gives quality services but most probably their charges will be ridiculously high. In other cases, you might find a computer repair company that is fairly cheap but the services offered are not good. This has discouraged many people in Murrieta not to have their computers repaired in town. It is for this reason that you should have your iMac repair done with us. We are a company that guarantees you quality services. We have a long list of satisfied clients to prove this. Our website has lots of testimonials with praises from our clients. Our clients keep coming back because they know that they will get the problem fixed and our stuff will not try to overcharge or cheat them just because they may not know exactly what is being fixed in the computer. We work with the client right to the end; we tell you what our diagnosis is, what our solution is and why we have opted for that solution and not the other. Our prices are affordable. Our vision is to make iMac repair Murrieta to be as affordable and available as possible. There is no need for you to shy from having your iMac repaired in town simply because you think that the repair companies there are overprices. Just one visit to our company will change your mind. We will give you the best services there are at a price that you will term as cheap. ComputerRepairofTemecula.com. Here you will find lots of information on computer repair and iMacs. If what you are looking for is not on the articles posted there, call the numbers given on the site. There always is someone to attend to you. At Computer Repair of Temecula, our concern is not just your broken computer, it’s you. We always try to ensure that you leave our site better. 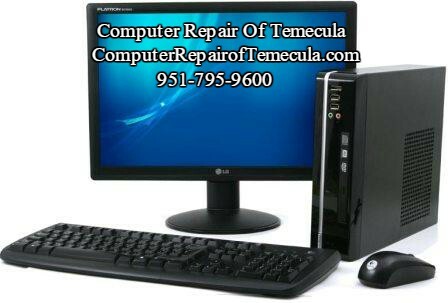 Computer Repair of Temecula does not only deal with iMac repair Murrieta, we also do website design and data recovery from damaged computers. The websites we design are not only attractive but also efficient and easy to use. We make the sites as functional as possible. For data recovery, the only thing we cannot recover data from is machine that is burnt to crisp. Otherwise, we will recover your data.